This is the first of our series of MicroSocials. 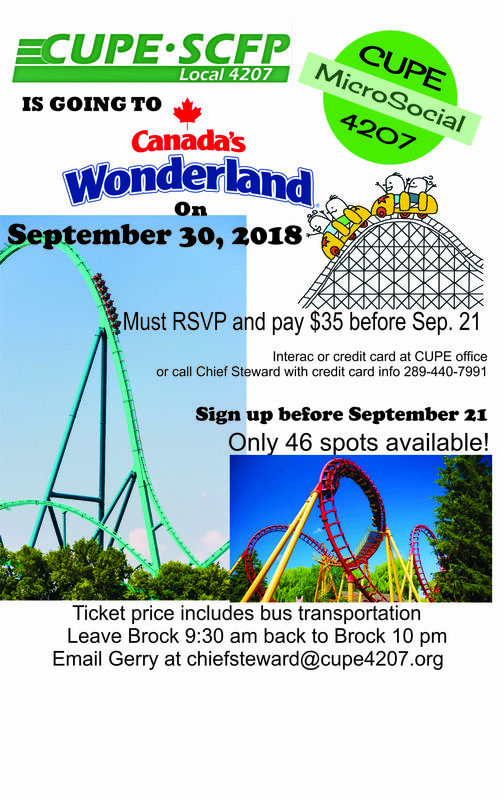 The local has commissioned a bus to take 46 members to Canada’s Wonderland amusement park. Book your seat by paying $35 for tickets. We do have a debit machine. Email chiefsteward@cupe4207.org or call him at 289 440 7991 with details on payment.